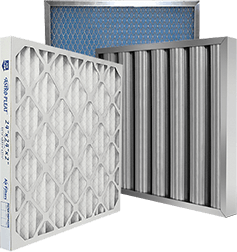 Pleated Air Filters for Commercial / Industrial | Air Filters, Inc. 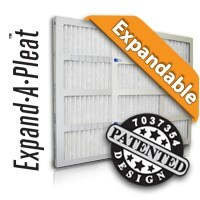 The innovative Expand-A-Pleat™ MERV 11 air filter easily expands to fit hundreds of sizes eliminating the trouble and cost of replacing hard to find, out-of-stock, or custom size air filters and provides clean air for your office, school, or facility. It uses an adjustable sliding frame and a high quality (MERV11) expandable filter media.